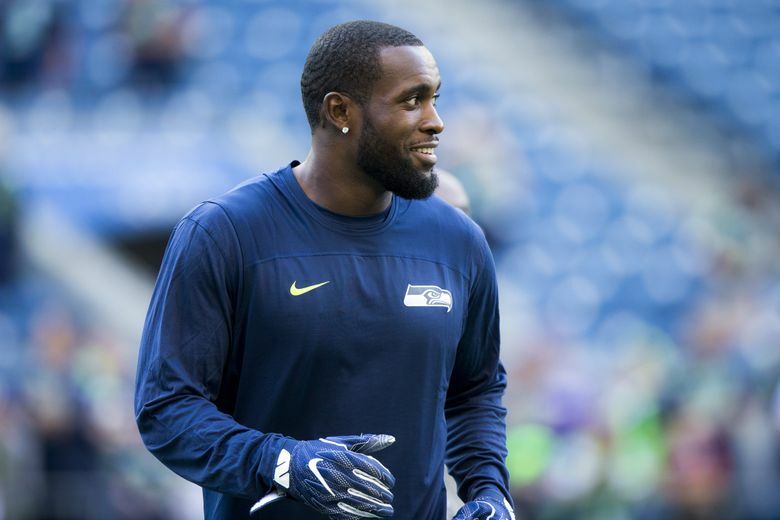 Seahawks strong safety Kam Chancellor suffered a neck injury last season, now, his football career might be over. Even if the news had been anticipated for months, the announcement that Kam Chancellor is apparently done with football still arrived Sunday afternoon as jarring as one of the many hits that will forever define the legacy of the Seahawks’ strong safety. The man who put the boom in the Legion of Boom appeared to make official Sunday what had been speculated for months — that a neck injury he suffered Nov. 9 at Arizona will end his football career. “I’ve played through all types of bruises and injuries at a high level, but this one I just can’t ignore,” Chancellor wrote in a lengthy statement delivered via social media. According to the Seahawks, Chancellor, who turned 30 in April, was expected to get scans done on his neck in June. Chancellor wrote that he was told he could risk paralysis if he were to try to continue to play. “My final test showed no healing,’’ he wrote in the tweet. Chancellor suffered the injury that will apparently end his career with just over two minutes left in the Seahawks’ 22-16 win over the Cardinals in Glendale, Ariz., on what appeared to be a non-descript hit on Arizona running back Andre Ellington. Chancellor tackled Ellington after a 9-yard gain on a pass play, and while he got up somewhat hesitantly, few watching thought much of it and coach Pete Carroll mentioned it only in passing following the game. The focus that night was on an Achilles injury to cornerback Richard Sherman that would also end his career in Seattle. Chancellor suffered the injury a quarter after Sherman left. Sherman has since been waived and has signed with the 49ers, meaning the Seahawks lost two members of the famed Legion of Boom secondary in one game. After the hit on Ellington, Chancellor stayed on the field for one more play before departing at the two-minute warning. The Seahawks had foreshadowed for months that Chancellor’s football career might be over. Carroll said in January that Chancellor and defensive end Cliff Avril would each “have a hard time playing football again’’ due to their injuries. Avril suffered a similar neck/nerve injury. He was waived in May, and will start a new career as a host on KJR-AM later this month. The Seahawks also made moves to replace Chancellor, signing Bradley McDougald — his replacement last season — to a three-year contract before he could enter free agency last March, and also signing former Rams starting strong safety Maurice Alexander. Seattle also drafted strong safety Delano Hill in 2017 as a potential replacement for Chancellor. While Chancellor’s statement confirms he won’t be playing again, it remained unclear Sunday exactly how the news will impact the team’s salary cap. Chancellor remained on Seattle’s roster because his contract included injury guarantees of $6.8 million in 2018, and $5.2 million in 2019, which meant that Seattle was better off financially hanging on to Chancellor and hoping he could pass a physical. Chancellor’s 2018 base salary of $6.8 million became guaranteed in February. If he retired, he would give up his injury guarantee for 2019. But the team could also work out a settlement, or Chancellor could simply retire and walk away from the rest of his deal. Ian Rapoport of the NFL Network reported Sunday that Chancellor was not retiring officially but had simply not been cleared to play again. That means the Seahawks would be on the hook for his $5.2 million injury guarantee in 2019. The team could also make a settlement with Chancellor. The injury guarantees were part of a three-year extension he signed prior to last season that included $25 million guaranteed. If Chancellor retires officially, he will count as $14.3 million against the salary cap in 2018, according to Spotrac.com. If he does not retire officially, but is simply not cleared to play,his $5.2 million in 2019 will also count against the salary cap. But Seattle would apparently get $8 million in cap relief for 2019, and $12 million in 2020. Drafted in the fifth round out of Virginia Tech in 2010 — the first draft for Carroll and general manager John Schneider — the 6-3, 225-pound Chancellor played as a reserve behind Lawyer Milloy as a rookie. He had fallen to the fifth round in large part because teams were unsure if he was better fit as a linebacker or a safety. But he proved an immediate hit as a strong safety for the Seahawks and moved into the starting lineup in 2011, teaming with second-year free safety Earl Thomas, rookie cornerback Richard Sherman and cornerback Brandon Browner to form what would soon be known as the Legion of Boom. Chancellor’s punishing hit on 49ers tight end Vernon Davis in a 42-13 win in Seattle late in the 2012 season served as a loud signal to the rest of NFL that the Seahawks were truly becoming an elite NFL team and has become viewed as a defining moment for the Carroll-era Seahawks. A year later, when the Seahawks emphatically fulfilled their promise by advancing to the Super Bowl in 2014, it was Chancellor’s early flattening of Denver receiver Demaryius Thomas that many regard as the moment it became clear Seattle would get the better of the Broncos. Indeed they did, going on to a 43-8 win that stands as one of the greatest athletic achievements in the city’s history. Chancellor’s retirement means just seven players remain on the Seahawks’ roster from the team that beat Denver: Thomas, cornerback Byron Maxwell, punter Jon Ryan, linebackers Bobby Wagner and K.J. Wright, receiver Doug Baldwin and quarterback Russell Wilson. Thomas’ future is also unclear because he held out during the team’s mandatory minicamp in June in hopes of getting a new contract. His deal runs out following the 2018 season, and the Seahawks are thought willing to trade Thomas if the right offer comes along. That Thomas could also be gone prior to the 2018 season could mean only Maxwell — who left following the 2014 season, only to return last year after Sherman’s Achilles injury — would be left of defensive backs who were with the team when the team won the Super Bowl and would be considered founding members of the LOB.